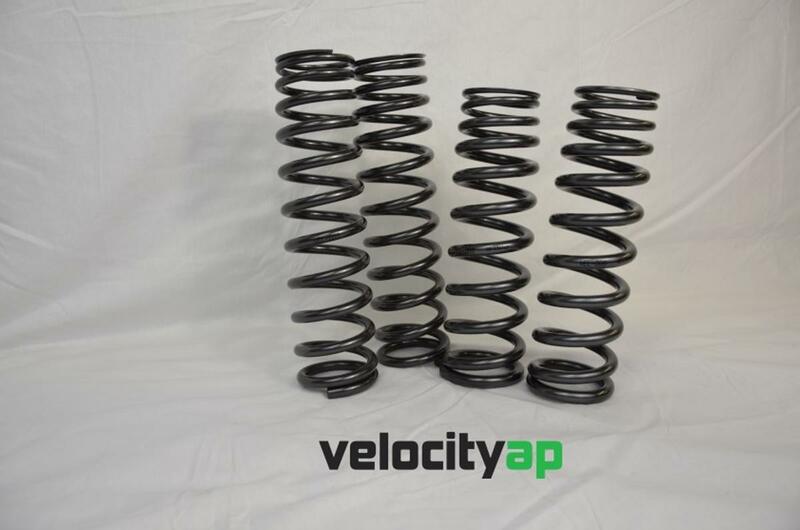 Set of 4 VelocityAP lowering springs for Aston Martin DB9 Coupe, to reduce the ride height on your car by 7/8", or 22mm. 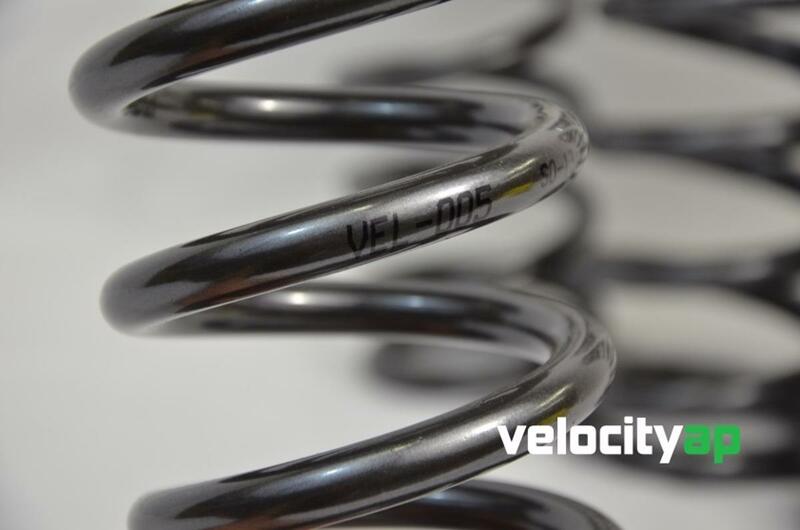 VelocityAP springs use exclusively high quality, high stress X5K Spring Steel. Although considerably more expensive than regular steel, this new generation steel allows us to further improve upon the original Aston Martin spring design by reducing the amount of steel required in a spring. 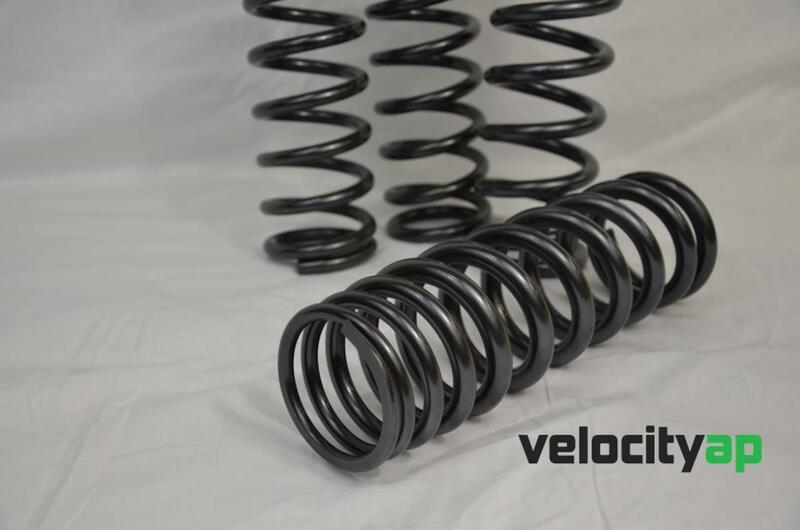 VelocityAP springs are therefore substantially lighter (by approximately 30%) and reduce the solid height therefore increasing travel. 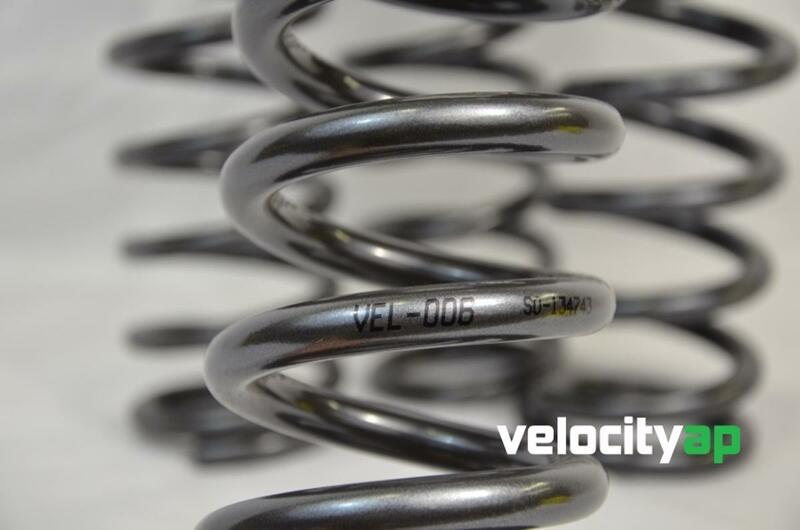 X5K Spring Steel is used in almost all top levels of Motorsport, giving a hugely successful endorsement of its characteristics & proven durability.